SHE-PACK won prize at Aspen Shortsfest, which leads to the chance to be nominated for the Oscars “Best short film” or “Best student film”. 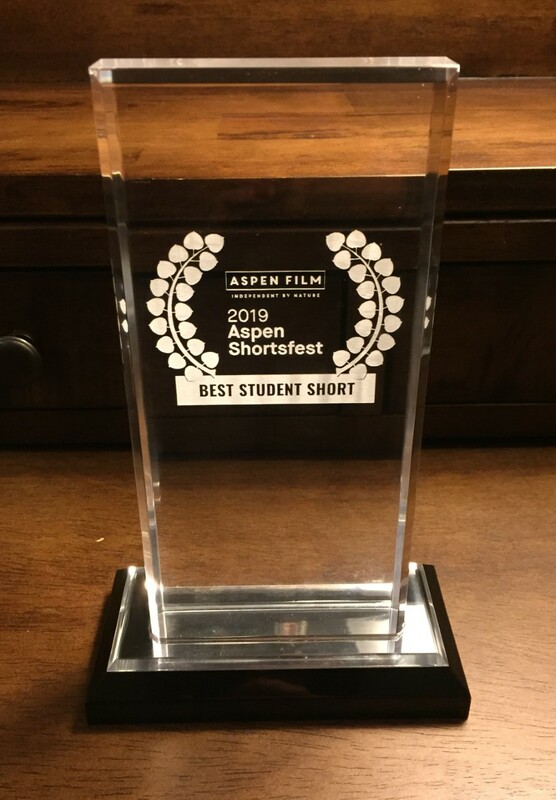 We are happy to congratulate director Fanny Ovesen and the rest of the SHE-PACK-cast & crew for winning the “Best student short”-prize at Aspen Shortsfest. Fanny, who went to Aspen and received the prize, can announce that the jury’s reasoning was as follows: "A film that shows not all girls are made of sugar and spice, but we have collective experiences of vulnerability and the need for sisterhood". 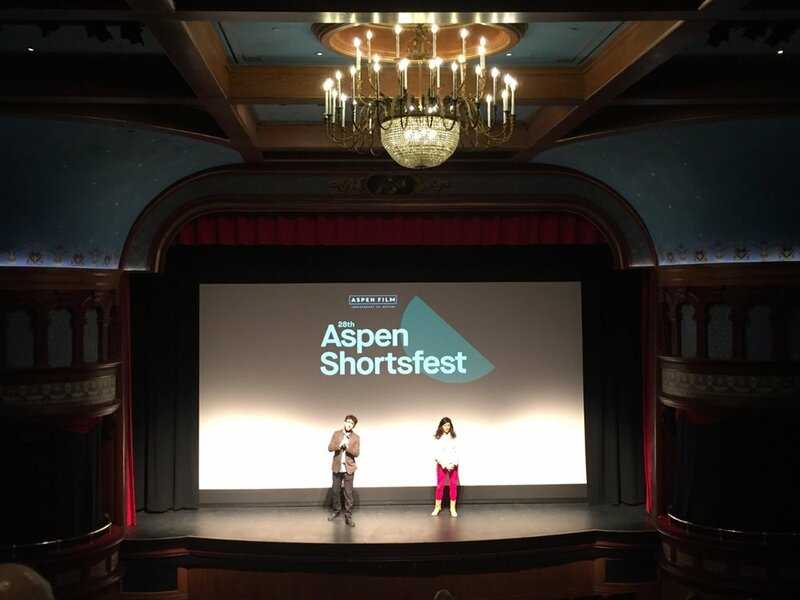 “Aspen Shortsfest is perhaps the biggest festival for short films in the United States, and is programmed by those who also program for Sundance, Palm Springs, Tribeca, Toronto and other festivals. So it was great fun to even be nominated!” Fanny says. – The prize we won was “Best student short” and is an Oscar-qualifying prize, which means that we can register the film to the Oscar Gala and pass the first selection, and have the chance to be nominated for either Best short film or Best student film. It’s still some way to go to actually get nominated, but this is definitely a big step in the right direction! “SHE-PACK” is a coming-of-age film about a birthday party at a public pool disco, and underdog Ronja challenges the girls’ alpha female to battle for dominance. It is a graduate film from the Norwegian Film School, and it premiered at the Haugesund film festival in 2018, and had it's international premiere at the Berlin International Film Festival in 2019. The idea behind the plot sprung from a group of women who discussed their similar experiences growing up as a girl. All of them had been a typical “good girl” but they also shared strong recollections from testing their limits and sometimes even a bit too far. The team were curious about how an audience would react to see small girls take up space and even act immoral, girls who’s not innocent, careful and pleasing in front of the camera. The film became a tool to face and overcome their own “good girl” hang-ups, and they also made sure to hire women for the production, at least as far as they could. The short film “SHE-PACK” is now streaming on NRK web player (Norway only), and is the first of it’s kind stemming from The Norwegian Film School, where the cast and crew is (almost) entirely female.